Check the space between the ears and the noise from Farah’s 10,000 metres and 5,000m gold medal-winning runs is still audible. The din and ecstasy of those triumphs remain embedded. There will be more track challenges for the inspirational long-distance star of the London Games but then there could be a new quest at the Rio Olympics of 2016. The king of his gruelling trade, Farah will yield no ground to the men he beat in London. 29 November 2012 - Yesterday was a historic day for Somalilanders. 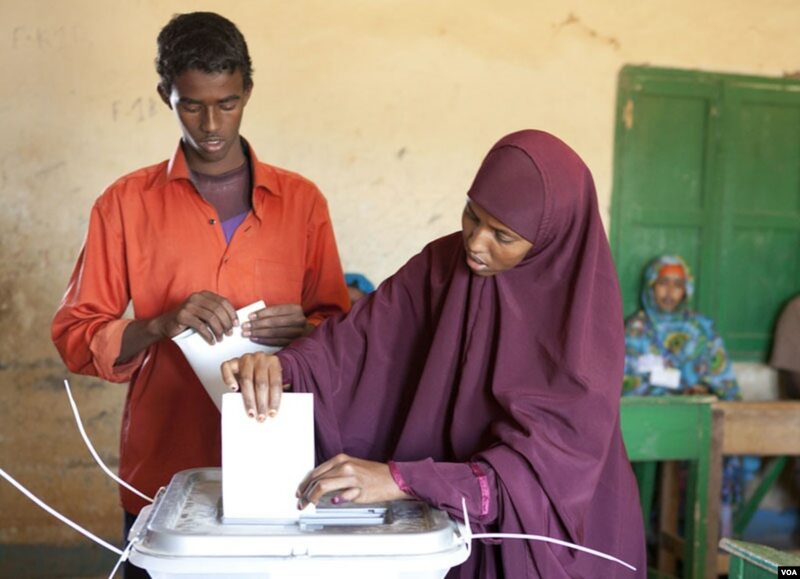 Following relatively peaceful parliamentary elections in 2005 and presidential elections in 2010, this year’s local councilor elections were yet another important step towards consolidating democracy in the Somali Region. Preliminary reports from international observers suggest that yesterday’s elections were free and fair. Interpeace congratulates the people of Somaliland for coming out to vote in what appear to be record numbers. Yesterday’s elections not only determine local councilors but also decide the three political parties that will compete for parliamentary and presidential elections. Interpeace celebrates the homegrown democracy that Somaliland embraced in its local councilor elections yesterday, demonstrating once again that democratic practices are alive and well in the Horn of Africa. Interpeace is proud to be the technical advisor of the Somaliland National Electoral Commission (NEC) and congratulates the commission on their effective running of local council elections yesterday. U N -- The United Nations voted overwhelmingly Thursday to recognize a Palestinian state, a long-sought victory for the Palestinians and an embarrassing diplomatic defeat for the United States. The resolution upgrading the Palestinians' status to a nonmember observer state at the United Nations was approved by a vote of 138-9, with 41 abstentions, in the 193-member world body. A Palestinian flag was quickly unfurled on the floor of the General Assembly, behind the Palestinian delegation. In the West Bank city of Ramallah, hundreds crowded into the main square waved Palestinian flags and chanted, "God is great." Others who had watched the vote on outdoor screens and television sets hugged, honked and set off fireworks before dancing in the streets. The IEO—International Election Observers -- have noted that overall Somaliland’s first municipal elections for local councils since 2002, were peaceful. The commission said it will take about a week from the election day of November 28th before final results are announced. Reporter Ali Ismail described the day after voting as calm. He said voter turnout was high, and he remarked that it appears more women voted than men. “In this part of the world women are more concerned about the well-being of the nation because mostly they have a lot of responsibility for [their] families. They are more committed than men,” explained Ismail. - On November 28, Somalilanders will go to the polls to elect their local municipal council representatives. These are the first local elections to take place in 10 years and are of critical national importance. Three of the seven political parties and associations competing for seats will become Somaliland’s only legally recognized political parties, becoming the only political organizations permitted to compete in elections for the next 10 years. The November poll will feature an open-list voting system and will be the fifth direct vote to take place across Somaliland since 2002. Somaliland’s political process has traditionally been dominated by three political parties, the UCID, KULMIYE and UDUB. In 2011, the new administration of President Ahmed Silanyo of the KULMIYE enacted election laws geared towards opening Somaliland’s political system. The laws allow new political associations to be formed to challenge the three traditional parties in local council elections and therefore compete to be one of the three approved parties going forward. Somaliland’s limit of three official political parties is meant to ensure that parties represent large portions of the population, rather than having a proliferation of smaller parties that are clan or regionally-based. - Progressio are joining UCL's Development Planning Unit and Somaliland Focus to lead the international observation mission to Somaliland’s district and council elections scheduled for 28 November 2012. It is hoped that these elections will contribute to the ongoing building of a stable system of democracy in the Horn of Africa. The three organisations have been invited by Somaliland’s National Electoral Commission (NEC) to act as coordinators of the international observation mission to the district and council elections in the internationally-unrecognised Republic of Somaliland. Voting has been set for 28 November 2012. A pre-election assessment of the conditions for the local elections took place earlier this year. - Today, citizens of Somaliland head to the polls to elect their local municipal council representatives. While the dysfunctional Somalia gets most of the attention in the Horn of Africa, its northern neighbor Somaliland has stood out as a success story. This election is the fifth direct vote in Somaliland since 2002, but is the first election of local councilors, a move that the International Republican Institute (IRI) says coincides with the central government’s initiative to decentralize government. The election will also determine the government’s three major political parties. According to law, only three political parties are allowed to govern, as this lessens the prospect of the population dividing itself according to clan and/or region affiliation. Somaliland’s three dominating political parties are the UDUB, UCID, and KULMIYE. - Dhowaan waxan akhriyey maqaal uu qoraaga weyn ee reer Djibouti,Mr.Cabdalla Xaaji,uu kusoo qoray mareegaha Soomaalida qaarkood ee magaciisu ahaa '' Hubsiimo hal baa la siistaa''. Maqaalkaa oo uu ku naqdiyayey nin qoraa ah ( Ibraahin Yuusuf Axmed “Hawd”) oo wax ka sheegay Ina Cabdalla Xasan. Kolka ugu horeysa aniguba sidaa uu u sheegay waxan rajeynayey oo aan u hanqal taagay oo aan moodayey in ninka qorey maqaalku ka sheekeyn doono buug uu qorey Cabdiraxman Guribarwaaqo. Buugaas oo aan xiiso u hayey in aan mar uun arko. Nasiib darose sidaa may noqon waxana haboonaan laheydbey ila tahay in uu qoraagu hordhaca maqaalkiisa sidaa u dhigin . 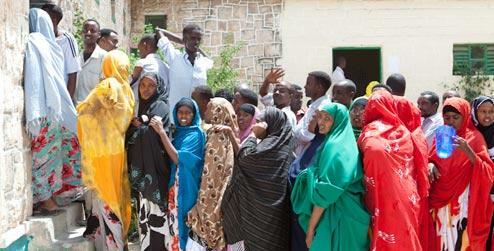 - Somaliland held municipal elections Wednesday. Seven political parties took part in the first poll for local councils since 2002. Although Somaliland has declared itself an independent state, it has not received full international recognition since breaking away from Somalia in 1991. - Australian oil and gas explorer Jacka Resources Limited (“Jacka” or “The Company”) is pleased to announce that the farmin by Genel Energy plc (“Genel”) to the Odewayne block has been approved by the government of Somaliland and that the farmin transaction was subsequently completed on 26 November 2012. 1. carrying Jacka and Petrosoma through at least the minimum work program in phases III and IV of the PSA, including 1,500 kms 2D seismic and the drilling of an exploration well. OTTAWA, CANADA--(Marketwire - Nov 27, 2012) - Mindesta Inc. ("Mindesta" or the "Company") (MDST) announces that it has received assay results from its first stage stream sediment and rock sampling program on the Arapsyo (Arabsiyo), Qabri Bahar and Abdul Qadir exploration permits in the Republic of Somaliland. - On 28 November, the people of Somaliland will go to the polls for the fifth time in the country’s 21 years as an independent State to vote in local council elections taking place across the country. The previous round of local council elections held ten years ago confirmed Somaliland’s emergence as a peaceful, democratic country in a region often associated with famine, war, terror and anarchy. Since then, the country has held parliamentary elections and two presidential elections, all of which were deemed free and fair by international observers—and which included the peaceful handing over of power from one president to another in 2010. Tomorrow’s local elections are significant because they demonstrate how it is possible to build a democracy in Africa despite the legacy of civil war. With voting taking place from the westernmost regions of Somaliland’s borders with Ethiopia and Djibouti to the eastern regions of Sool and Sanaag, they also demonstrate the unity of a people committed to engaging in peaceful, democratic politics. With dignity, determination and well balanced judgment, President Ahmed Silaanyo has successfully moved the country out of the ditch that the former administration left the country in. The majority of Somaliland people are well aware of the unfavourable economical, social and political situation with which the current government started when they came to power, where they have come from and where they are now. Driven by a sense of patriotism, responsibility and following the courage of his convictions, President Ahmed Silaanyo leads the country into the right direction. In a relatively very short time, the President has translated his electoral promises into concrete and visible actions and he is steering the ship of the moral recovery responsibly and with wisdom. The President has restored the people’s trust and belief in the political system, in government as well as in the democratic system and social justice. He repaired and realigned Somaliland’s economic, social and foreign policy with progressive and democratic vision wherein many countries in the region and beyond would like to emulate and implement it. He leads a government inspired by the trust and believes in their ability, collective sense of social responsibility, good governance, effort and transparency. - The government of Somaliland has given the green light for Genel Energy to take a 50% operated stake in the Odwayne production sharing contract. Genel entered the farm-in agreement earlier this month with Australia’s Jacka Resources which will see the London-listed company fund the exploration programme over the Odwayne Block, including the acquisition of 500 kilometres of 2D seismic and the drilling of one well. Tendering for the 2D seismic contract is scheduled to start during the first quarter of next year. Jacka said the total cost of the work programme for the third and fourth exploration phases of the PSC was estimated at about $50 million. - As the curtains are drawn on the electioneering campaigns which are in its fever-pitch anti-climax, the last prospecting party is outdoors today, the last day of public campaigning, before people stream to the polling booths three days away. We are of course so far thankful for having had a blessed elections period devoid of any major incident. We call far, in the same light, polling and counting days similarly devoid of not much ado, but any qualms. By thus, we hope for a smooth, peaceful and satisfactory conclusion to the public power of appointments. Given the worldwide respect we received on the past election processes we underwent, it should not escape our minds that we have to make sure that these moments should be re-lived. The major and chief stakeholders in this process are of course the people and nation of Somaliland. WASHINGTON, Nov. 26, 2012 — /PRNewswire-USNewswire/ -- The Somaliland Municipal elections will take place on November 28, 2012. There are seven political parties who are contesting and nominated candidates in this election; it is the second time the Municipal elections will take place in Somaliland, the first Municipal election took place in 2002, and that started very successful democratic progress in Somaliland. Since then there has been a Parliamentary election in 2005, and two Presidential Elections in 2003 and 2010; according to the International Election Observers who monitored those elections; the Somaliland elections were conducted freely and fairly based on the International Election standards. The 2012 Municipal election is significant for Somaliland people in many ways; it determines the Mayors and City Councilors for Cities, it also determine who are the three parties who will be certified as National Parties based on the number of votes received and those three parties will qualify to contest in the future Parliamentary and Presidential elections over the next ten years, and most importantly this will further strengthen and complete the democratic progress in Somaliland that started in 2002. - When people think of Somalia, they think of Mark Bowden’s Black Hawk Down. They think of South Park’s “Somalian Pirates We” episode. They even think of (sigh) Pirates of the Caribbean. What they don’t usually know is that Somalia has three extremely different regions, and that one of those regions is a fully functional unrecognized state. The first region, Somalia, is the southern half of the former Italian Somaliland colony. This is the area most people think of, with Mogadishu and Islamic warlords and perpetually failing transitional governments (we’ll see about the new government formed in August 2012 in a few years). The tip of the country, to the north of the old Italian colony, is Puntland. Puntland is autonomous, governing itself with a central government, but it is not seeking independence. - Somaliland is unrecognized country located in the horn of Africa. This country separated from Somalia in 991, yet it did not reach its target of getting recognition from the world. Despite the hardships it faced in forming and maintaining a democratic government, it had reached many accomplishments. For example, since when it seceded from Somalia, it had won to stabilize and end the clashes among its clans. It also had won to form a democratic government based on fair elections without external aid. However, Somaliland failed to fully attract the eyes of the world. Many challenges are suggested to be reasons for this failure, but two of them are agreed on by many views. khat and the charcoal are the problems that severely affect the economy. Khat has severely damaged the economy of Somaliland and the government has not tried anything to tackle this problem. Each day, many Khats poured from Ethiopia to the all regions of Somaliland. In return, billions of dollars go to Ethiopia. Somaliland wastes all these money for nothing; it has many other profitable ways to use this money. For example, it can use it for promoting the education, or create jobs for its citizens. The 55-strong team has assembled in the capital city of Hargeisa, ready to deploy to all six Somaliland regions, where voters will turn out at more than 1,700 polling stations on November 28th. 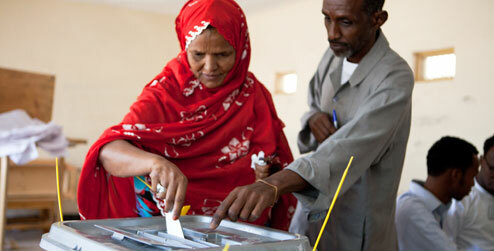 The mission follows previous observations of elections in Somaliland in 2002, 2005 and 2010. Once again, Somaliland’s wide diaspora has a strong presence in the team, which draws on 15 countries including Canada, Denmark, Ethiopia, Finland, Ireland, Italy, Kenya, the Netherlands, New Zealand, the Philippines, South Africa, Sweden, Uganda, the United Kingdom and the United States of America. Growing food in the desert: is this the solution to the world's food crisis? 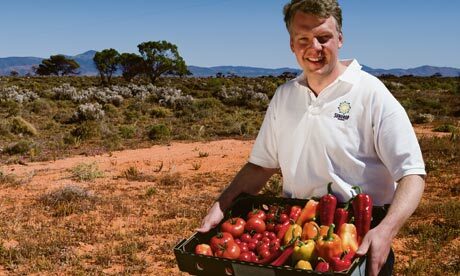 - Philipp Saumweber is creating a miracle in the barren Australian outback, growing tonnes of fresh food. So why has he fallen out with the pioneering environmentalist who invented the revolutionary system? The scrubby desert outside Port Augusta, three hours from Adelaide, is not the kind of countryside you see in Australian tourist brochures. The backdrop to an area of coal-fired power stations, lead smelting and mining, the coastal landscape is spiked with saltbush that can live on a trickle of brackish seawater seeping up through the arid soil. Poisonous king brown snakes, redback spiders, the odd kangaroo and emu are seen occasionally, flies constantly. When the local landowners who graze a few sheep here get a chance to sell some of this crummy real estate they jump at it, even for bottom dollar, because the only real natural resource in these parts is sunshine. - Maxamed Siyaad Barre intuu Madaxwaynaha ahaa markuu cadhoodo wuxuu ku khud badayn jiray dal waan ka tagayaa. dawlad se kama tagi doono. Somalia waxay noqotay dawlada keliya ee taariikhda casriga burburtay oo gobalo u kala googooday (Failed State). Waqtigii Siyaad Barre hadalkaa odhan jiray labaatan sano ayaa laga joogaa. Somaliland iyo dawlad gobaleedyo, sida Putland iyo Galmudug Koonfurna dhawar Dawladood oo ku meel gaadh ahaa ayaa loo dhisay lakiin may taabo galin. Waxaan se rajaynayaa tan u danbaysay ee dhawaan Xamar lagu dhisay inay waarto oo noqoto tii Somalia ku degi lahayd. Waxaan qawadsanahay tobanka wasiir ee xukumadaasi ka kooban tahay ay laga maarmaan tahay in la kordhiyo oo ugu yaraan sideed iyo toban ama labaatan wasiir la magacaabo, Wasiiro Dawlayaasha iyo Wasiiro ku Xigeenada waa la yareyn karaa. Maahmaahdeenuna waata tidhaa:” wuxu na baday wuxu na baraybaa nagaga darran”.Tu kalena waata tidhaa:” ayax teg Eelna reeb”. Shacabka Somaliland ee xasuuqu kasoo gaadhay dawladihii kala dambeeyey ee wixii la isku odhan jiray Somali Republic waxa u dheer dhaqanka khasabka lagaga dhigay ee aanay isir u laheyn. Ceebi kuma jirto in lagu xoojiyo luqadaada iyo dhaqankaaga kuwa shisheeye laakiin waxa ay dhibtu tahay kolka lagugu khasbo in sidaas aad yeesho. Dhibaatadu waxa ay ka taagantahay kolka saqaafadaa lasoo ergisanayaa uu baabiinayo ama wiiqayo kii aynu asalka u lahen ee aynu awoowyaasheen ka dhaxalnay. - Democratization process in today’s Somaliland had many sweet and sour experiences. Through these experiences the modern and unique democracy of Somaliland becomes beautiful. But it does not mean that it is bed of roses. There will be always thorns or ups and downs in the process. However, it rises despite odds. The application of democracy in Somaliland as new political system was not difficult process as it is in the blood of the people; the culture of the people is based on consultation and negotiation against obstacles without use of force; such culture was practiced in Somaliland much before the arrival of the colonial powers in late 19th Century. The author I. Lewis underscored such culture in his booked ‘A Study of Pastoralism and Politics among the Northern Somali of the Horn of Africa’ and the book ‘The Democracy of Sultan Diriye’. - Those eager to read how the current seven political associations and parties become three constitutional ones will have to curb their enthusiasm for the moment. First the Burao issue highlighted last week seems to have got sorted by the provision of 89,000 extra ballot papers and the introduction of a two-stream system inside polling stations in western Burao i.e. doubling the number of ballot boxes in certain polling stations. We wait to see from forthcoming observations how this will work. With the way the sexes divide (four queues, plus seven party agents, six polling staff, domestic and international observers) it could get as right crowded and hot as a broken down summer Tube train (for international readers – an archaic form of underground London transport). Meanwhile the setpiece of our trip was a small IEO delegation calling on the president and three ministers at the presidential palace. Once we had kitted out one of the team with a spare tie, we were able to put forward concerns – mostly those raised by political parties, such as arrests of their candidates, allegations that candidates were being paid to withdraw their candidacies. We were also keen to track down the Presidential Decree calling on political parties not to have civil servants campaigning or to use state resources for political party/ association purposes. We duly received a copy along with assurances it was being followed. - The Republic of Somaliland is holding its second municipal election and sixth democratic election since breaking off and declaring independence from the war-ravaged nation of Somalia in 1991. In 2002, then-President Mohamed Haji Ibrahim Egal opened the registration of new political organizations. The constitution of Somaliland states that the country is to have only three political parties. In order to achieve party status, new political organizations compete in the next scheduled municipal election. The top three parties/organizations who gain the most votes end up as the official parties of the nation. Six political organizations competed in 2002 and only three made the cut. The other three political organizations disbanded and made alliances with the party that was most ideologically equivalent to theirs. The three parties, UDUB, Kulmiye and UCID, went on to compete in the 2003 presidential election and the 2005 parliamentary election. Today’s judgment holds that Colonel Magan is responsible for Professor Ahmed’s arbitrary detention, torture, and cruel treatment at the hands of NSS officers, who acted on Colonel Magan’s orders. In his Ruling, Judge Smith found that that Professor Ahmed was detained, subjected to cruel treatment, and Tortured by NSS officers under orders from Colonel Magan. 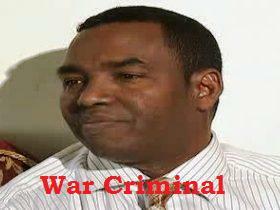 Professor Ahmed bears lasting physical and Psychological scars from his torture to this day. After the Siad Barre regime collapsed in 1991 Colonel Magan fled the country and sought safe haven in Ohio. This civil case was filed under two federal statutes, the Alien Tort Statute (ATS) and the Torture Victim Protection Act, by the Center for justice and Accountability (CJA) and pro bono co-counsel Latham & Watkins, LLP on behalf of Professor Ahmed. ''Qorista afku ama in la hindisaa Far-cusub mar bay adkayd haatanse waa xaajo curad ah..''. C.C.X. - Sida aan wada ogsoon-nahay far-afeeda ama erayada qoran ee hadalka ah ee aan qajeel u adeegsano nolol-maalmedkeenu hadii aynu nahay reer Somaliland, waa far-Soomaaligii la qoray 1972-kii, oo kaaga sii darane ay ku magacaaban yihiin walibana inoogu mano-sheegtaan maamulkii ASKARTA ahaa ee xasuusteena xumaanta badan kaga tagay! Runtii, waa arin naxdinteeda leh oo damqaysa dareenkeena, waxana dhab ah in inta aynu wali adeegsanayno Far-soomaaliga aynaan ka bogsanayn aramidii iyo uur-kutaaladii ina soo martay. Sidaa aawadeed, waxa ay ila tahay in la gaadhay xiligii laga tashan lahaa qodobkaasi oo ah, ka kali ah ee hadhay ee ay dadka reer Somaliland weli la-sii wadaagaan, dadkii aan kala baxnay ee aynu uurka iyo awrtaba kala raranay ee reer Soomaaliya. - Gu’ waliba leh taariikh iyo waayo lagu tilmaansado. Gu’gii 1984kii ayaa ururkii xaq-u-dirirka ahaa ee SNM u lahaa tilmaamo badan oo isugu jira murugo,xus,maamuus,iwm.Maamulka SNM wuxuu ahaan jiray gu’gan ka hor hal sannadeed.Hase yeeshee gu’gan waa la kordhiyey oo waxaa laga dhigay laba sannadoodle,sidoo kale ayaa shirkii guud ee ururkana laba sannadoodle laga dhigay. Gu’gaa ayaa horseeday inay SNM dhigto dhoolatuskii ugu weynaa ee ay SNM dagaal fool ka fool ah dalka gudihiisa ku qaabilaan ciidamadii uu hogaanka u hayey Afweyne Bare.Inkastoo ay ku ledeen hormood badani guul lagu riyaaqo ayuu lahaa.Waxaa sidoo kale magaalooyinka Hargeysa, Burco, Berbera,iwm dil toogasho ah lala beegsadey dad badan oo bulshada dhexdeeda ku mudnaa si loo dhantaalo guulahaa SNM gaadhey,loona niyadijabiyo taageerayaasha ururka SNM ee gudaha ku jiray. Hase yeeshee guulihii SNM way sii kordheen,taageerayaashiina dardar hor leh ayey dhacdadaasi galisay. - Sida la-yidhi, Tuke ayaa wuxu ku hinaasay xuurta baalka cad leh. Wuxu jeclaystay inuu bedelo baalkiisa madow oo baal cad yeesho. Markii xuurtii u fiirsady, ayaa waxay la noqotay inay biyahan ay xuurto ku nooshahay ee mar walba ku jirto baalkeeda cadeeyay. Ka dib markii ay sababti sidaa ugu muuqatay, ayaa wuxu tukihi goostay inuu dhirtan uu saaranyahay guudkeeda ka soo dego oo, sida xuurtana, biyaha ku noolaado si uu baalkiisu u cadaado. Dhirtii ayuu ka caagay; oo wuxu u go’ay webiyada iyo harooyinka. Hadh iyo habeenba biyihii ayuu ku jiraa si uu baalkiisa madoobi u cadaado. Wuxu ogaaday inaanu qaadhaabkii oo dhirta guudkeeda iyo dhulka ka heli jiray biyaha ka helayn. Hase yeeshee, wuxu is tusay inuu muddo gaajada u adkaysto si uu u cadaado. COLUMBUS, Ohio (AP) — A former military colonel with a Somali security force dubbed the "Gestapo of Somalia" by its critics was responsible for the torture of a human rights advocate in the 1980s, a federal judge ruled Tuesday in a decision that opens the door for a hearing on potential financial damages. Colonel Abdi Aden Magan (chief of NSS), who lived for several years in Ohio, did not present any evidence to dispute the allegations that he directed subordinates in carrying out human rights abuses under the regime of former dictator Siad Barre, U.S. District Judge George Smith said in Columbus. Abukar Hassan Ahmed, a lawyer and human rights advocate now dividing his time between London and Mogadishu, Somalia's capital, alleged in a 2010 lawsuit that the three months of torture he endured make it painful for him to sit and injured his bladder to the point that he is incontinent. 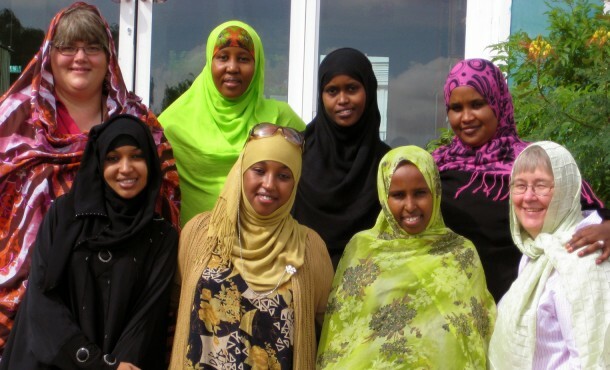 - Six of the women who planned to study at Eastern Mennonite University (EMU) in the summer of 2012 in the brand-new Women’s Peacebuilding Leadership Program were unable to enter the United States. So program director Janice Jenner and professors Jayne Docherty and Gloria Rhodes took the program to Somaliland to reach the excluded women in the fall of 2012. The United States government denied entry to the six (two each from Kenya, Somalia and Somaliland). This was ironic, given that a federal agency, USAID, was paying for their training. - Unlike her older siblings, Amran Yonis, a 22-year-old business administration student at Golis University in Hargeisa, said she had plenty of options available to her when she was looking to enrol in higher education in 2008. "My elder siblings who finished before me had to wait three years because there was only one institute of higher learning, the University of Hargeisa," she told Sabahi. Yonis is part of a rising generation of Somali students eager and able to further their education. Saeed Ahmed Hassan, president of Golis University, said enrolment at his university has increased dramatically. "Three years ago, we had 500 students, but now there are 3,000," he told Sabahi. "In 2012 alone, we admitted 1,200 students." - A rogue trader who carried out the UK's largest ever fraud, losing £1.4 billion in bad deals which nearly brought down a major international bank, has been jailed for seven years. At one point during his run of losses, former rising star City trader Kweku Adoboli, 32, stood to run up losses of 12 billion US dollars (£7.5 billion) for employer UBS. City of London Police, which investigated his activities after he confessed his losses in an email to colleagues, said he was one of the most sophisticated fraudsters the force had come across. Adoboli was accused of exceeding his multimillion-pound trading limits and failing to hedge trades, faking records to cover his tracks at the Swiss bank's London office. He admitted the losses but claimed he was pressured by staff to take risks, culminating in bad deals which wiped £2.8 billion off the bank's share value when they were discovered. - Wasiirka Dib-u-dejinta Somaliland Md. Saleebaan Ciise Axmed (Xaglo-Toosiye) ayaa xukuumadda Somaliya loo dhisay ku tilmaamay in ay tahay mid ku eeg Koonfur oo kaliya, waxaanu kula taliyey dadka reer Buuhoodle ee rajaynaya in ay wax ka helaan xukuumaddaasi in aanay ku hungoobin ee ay dadka reer Somaliland wax la qaybsadaan. 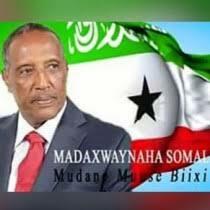 Wasiirka dib u dejinta Somaliland oo ka hadlayey barnaamij ka baxa Telefishanka qaranka Somaliland oo lagu magacaabo La kulanka Wasiirada iyo weydiimaha dadweynaha ayaa waxa uu sidoo kale sheegay in hadda la marayo yaa reer Woqooyi-yay lagana gudbay qabiilkii ama yaa reer hebel ahaay-dii. - Kobcinta dhaqaalaha waxaa ka mid ah kordhinta dakhliga madaxtoyada.Waa arin u muhiim ah inta danaha gaarka ah u adeegta.Heshiiska shirkada Thaicom ee TV qaranku waa dhaqaale kordhinta madaxtooyada.Shirkada u dhaxeysa ee uu raadinaya agaasimaha wargeyska dawlada ee Dawan waa hawl u taala madaxtooyada.Wuu ogyahayee bulshadu inuu dhagahooga ku badiyo waa meel ka dhac maamul iyo curyaamin madaxtooyada. Hay’ada TV-ga qaranku dad bay naas-nujisaa.Boobe maqaarsaar meesha inuu u joogay aheydee yaa maamul yidhi.Wasiiradaanu igmanaa sidaa ka siman ee maxaa ka soocay. HARGEISA, Somalia, Nov 20 – At Hargeisa’s dusty livestock market two men quietly size each other up, haggling over animal prices by placing fingers on their chequered headscarfs to indicate how much they would pay. “If I press one finger, it means 100 shillings, the whole hand, 500, a bit of a finger, 90 shillings…we want to hide negotiations from other traders,” said animal trader Mohammed Iid, explaining the reasoning behind the silent barter. Amidst the chaos that has characterised life in conflict-ravaged Somalia, the animal trade has survived — and even managed to prosper. Traders in the northern Somali city — capital of the self-declared independent nation of Somaliland — rake in healthy profits, with sales spiking during Islamic festivals. HARGEISA, Somaliland — To the outsider, haggling for sheep in the livestock market here might look like an elaborate secret handshake. Two men lay a piece of cloth over their grasped hands and begin negotiating the price in silence, their eyes fixed on one another. Sequences of squeezes, pinches and clasps of fingers, knuckles and hands — all hidden from public view under the cloth — indicate the buyer’s offer and the seller’s price. Deals worth hundreds or thousands of dollars are concluded quickly, often without exchanging cash. Payments are transferred between mobile phones. Semi-nomadic animal herding, or pastoralism, is the Somali way. But while it is a cultural practice with deep historical roots, it also may have a place in Somalia’s economic future, helping it emerge from decades of civil war. - Recently the Somaliland Government held a three-day ‘Cabinet Seminar’ to discuss and assess its achievements and failures during the two and a half years it has been in power. At the end of the meeting, various Ministerial spokesmen advised the public and the press that the government had concluded that they had fulfilled 70% of their program and election promises to the public that had chosen them by a wide margin. While it is good management policy for any organization, be it public or private sector, to continually assess and evaluate its achievements and progress, it is equally a poor manager or organization that grades his or its own performance and seeks to have said grade publicly endorsed. Grading the performance of people and organisations is usually undertaken by third parties and is measured against peers and peer groups, established standards or market norms. In this way one can derive some assurance that the grading process is impartial, objective and is benchmarked against credible and established standards and norms. “It is difficult to understand these people who democratically take part in elections and a referendum, but are then incapable of democratically accepting the will of the people” (Jose Saramago). - Since the Somaliland local elections were announced and some of the parties were disqualified, there have been proliferations of articles which are critical about the Somaliland democracy. In any democracy elections bring negative campaigning from the competing parties. However these articles have been propagated by disgruntled individuals who are associated with the disqualified parties and others with sinister agendas to exploit the tensions created in the country by the upcoming election. In African countries elections are fraught with difficulties and it is even more so in an unrecognised country with internal and external ill-wishers hopping for its downfall. Somaliland has held a number of successful elections before and the same attempts were made to destabilise the country through an attack on its democratic institutions and on the National Electoral Commission (NEC), which were all proven unfounded. 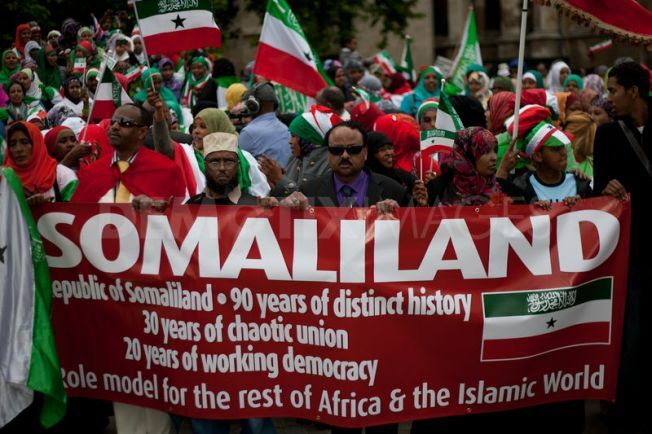 As it has been noted by numerous scholars, Somaliland combines western democracy with tradition and it is this contextualisation of Somaliland democracy that these Somali writers are failing to understand.